Various slightly used or near new condition Snap-On tools. 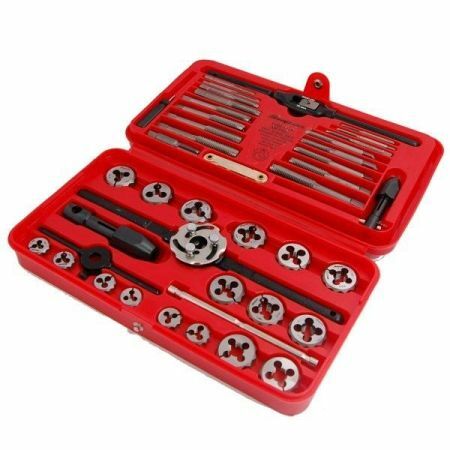 Snap-On Metric Tap and Die Set pn-TDM-117A, Taps and dies from 3 to 12mm, a BSP tap and die, two die stocks, three tap wrenches, a metric thread pitch gauge, and a die adjusting screwdriver 41 pcs Full set, used once. Near perfect condition.